High Tea in The Valley, is held at The Sebel Hawkesbury Resort & Spa. 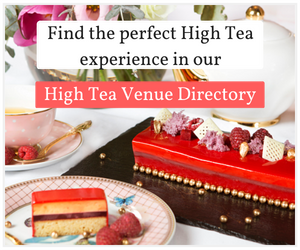 With a menu designed to remind you of what made you fall in love with High Tea in the first place, you won’t be disappointed by choosing this stunning location. 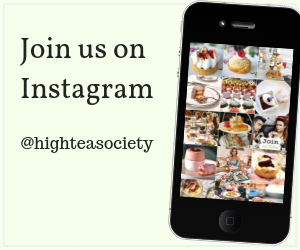 High Tea in The Valley is served Sundays to Thursday in the Harvest Restaurant, located within the immaculate grounds of The Sebel Hawkesbury Resort & Spa. Start your experience by meeting your friends and family at The Barracks Bar, located next to the Harvest Restaurant. Here you can enjoy the complimentary juke box whilst you order one of the Barracks Bar’s famous Retro themed cocktails, before moving through to The Harvest Restaurant to begin your High Tea experience. Imagine relaxing on a Sunday afternoon to a pianist playing, freshly made scones with strawberry jam and whipped cream, cucumber finger sandwiches, an assortment of pastries and desserts, and a glass of sparkling wine. With views of the Resort’s manicured gardens and The Lakeside, High Tea in the Valley is designed to be your perfect afternoon escape and remind you of all the reasons why you fell in love with High Tea in the first place. If you’re looking to create a unique experience, the Resort offers a range of private dining spaces for up to 230 people. Whether you prefer the beautiful outdoor options of The Lakeside and The Woods, or the comfort of an indoor option, the Resort is your perfect destination for birthdays, office parties, baby/bridal showers; all of which can be themed to suit your specific theming requirements. Combining your high tea with treatments from the Resorts’ Villa Thalgo Day Spa? Consider extending your spa experience by staying in your spa robe & having high tea served in the spa’s Relaxation Room or gardens. In the heart of the historical Hawkesbury Valley you will find The Sebel Hawkesbury Resort & Spa. Located at the foothills of the Blue Mountains, the Resort is an easy 45 minutes’ drive from Sydney CBD and 20 minutes’ drive from Penrith & Rouse Hill. Whether you are looking for a romantic weekend escape, family retreat, high tea, wedding or conference, this 105 room Resort is your perfect getaway.